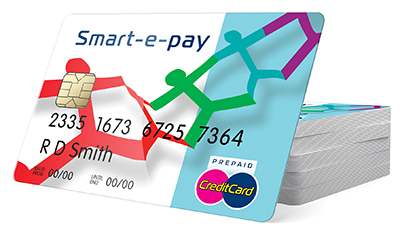 Powered by a high-grade processing unit with an impressive array of features, Ultima is ideal for the localised or centralised issue of high-volumes of secure smart cards. Unlike the standard dye sublimation process, your card design is first printed on a clear film; that film is then adhered to the card surface. This process gives you a higher definition print quality and allows you to print successfully even on smart cards with uneven surfaces. It also gives you additional card durability and tamper-resistance so the cards will last longer. The Ultima prints a secure watermark across the face of every card– the first reverse transfer printer to offer this. 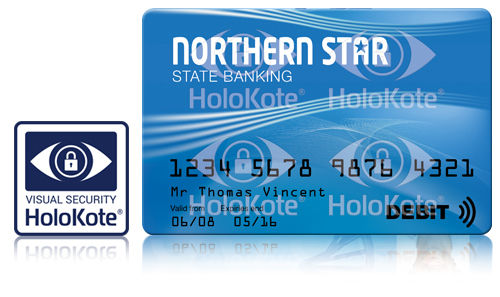 Choose from 10 standard patterns of Secure HoloKote®, or create your own custom image as a watermark. UV print option also available. 3 years MagiCoverPlus or 250,000 panels limited manufacturer’s warranty covering electronic/electrical failure and bad workmanship. A loan printer will be provided should the above situation occur and Technical Support are unable to resolve the problem (UK, EU and North America only). 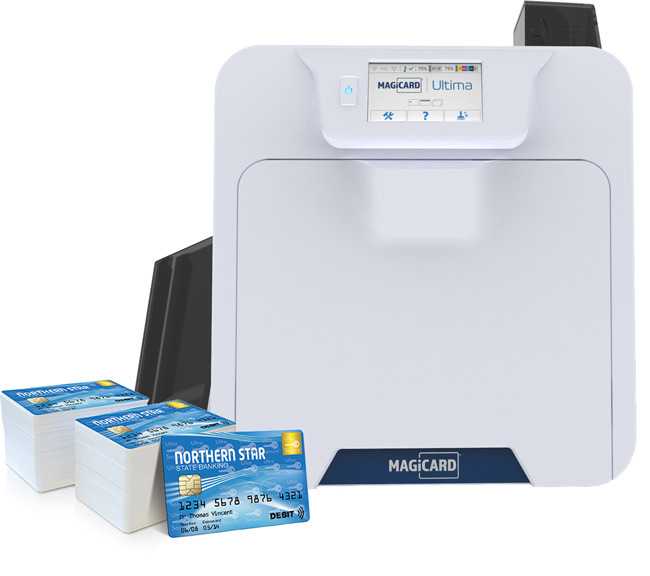 Offering reverse transfer printing with built-in visual security, the Magicard Ultima ID card printer is a powerful addition to the Magicard line of printers. With its quick print speeds, large 200-card hopper, high yield 1,000 print ribbons and an easy-to-use touch screen interface, this printer is ideal for large organisations looking for efficient card printing. Ultima enables you to print up to 100 high definition full colour cards per hour. 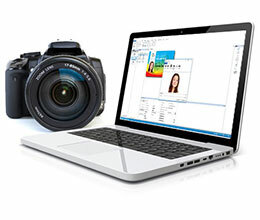 The quality of print means staff can quickly and easily identify the facial features on ID cards for comparison against the holder. 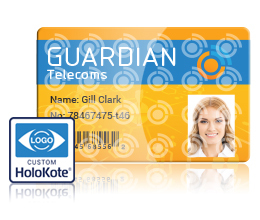 This makes it the ideal solution for drivers’ licences, national ID cards and other cards where security is paramount. 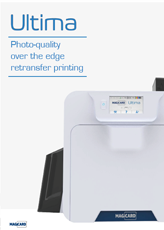 The Ultima retransfer printer comes with built-in visual security via the use of up to 10 secure HoloKote® watermarks. That means that if you choose to do so, you can distinguish different departments with a separate holographic design. 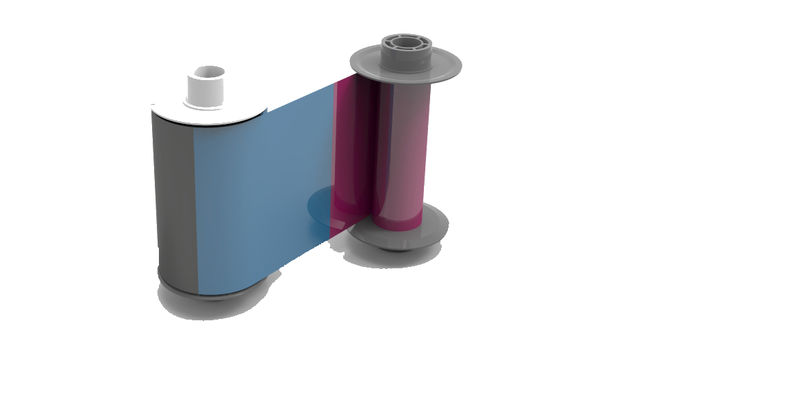 For additional built-in security, Ultima exploits the wavelengths of the dye-film so it can fluoresce under UV lighting. 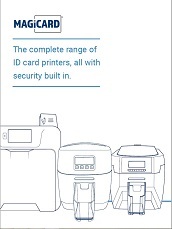 High capacity consumables (1000 prints) and hoppers, combined with a range of encoding options to write secure electronic data to the card, make the Ultima ideal for high volume localised or centralised issuance of secure smart cards. Contactless MIFARE®, DESFire®, Pro, iClass®. 3 year MagiCoverPlus* 3 years MagiCoverPlus or 250,000 panels limited manufacturer’s warranty covering electronic/electrical failure and bad workmanship. A loan printer will be provided should the above situation occur and Technical Support are unable to resolve the problem (UK, EU and North America only). Printer weight 16.74kg (36.90 lbs). Printer size 334mm L x 458mm W x 431mm H (13.14” L x 18.03” W x 16.96” H). 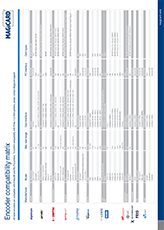 Environmental operating range Sheltered office environment 10°C to 30°C (50°F to 85°F).